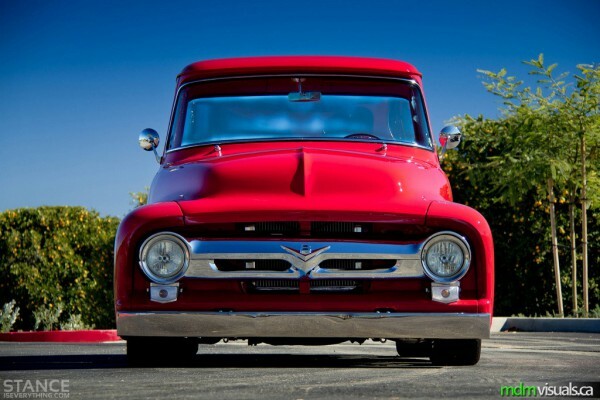 56 Ford F-100 on the Road! 50`s and 60`s American cars have always had a special appeal. 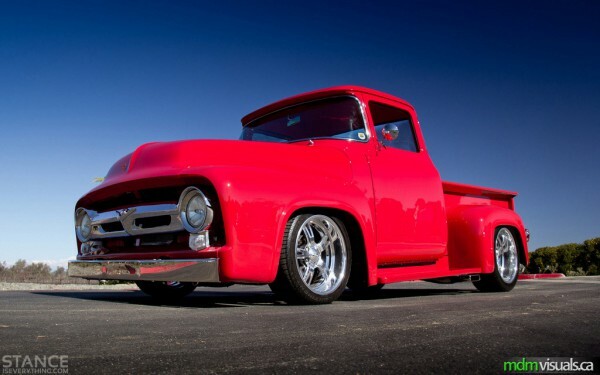 This amazing 56 F-100 has double staggered Schott wheels, a torsion bar front clip that is lowered. It is powered by a twin-turbo 5.4L engine. The PPG bright red exterior and the red leather interior give additional exquisiteness to this muscle car.